The first seven Weeks in the USA were really awesome: I trained one week in the forests of Arkansas, was on my first rodeo, shoot on a shooting range, ran my first race, began to study at the university and much more. Frequently I got asked, what is the biggest difference between the US and Switzerland. The probably best answer is that in the USA everything is bigger. Except the mountains which in this part of Texas rarely exist. A good example for the big size is the traffic system. The cars are much bigger and the streets much wider than in Europe, even the driving distances are much different than at home. In Switzerland a one hour drive is already a long distance but in the US this is just a stone's throw. Since I arrived in Texas I have had two road trips which were longer than five hours and these were just like a normal drive. Also very impressive is the size and the choice of products in our closest supermarket. You can buy there almost every thing. 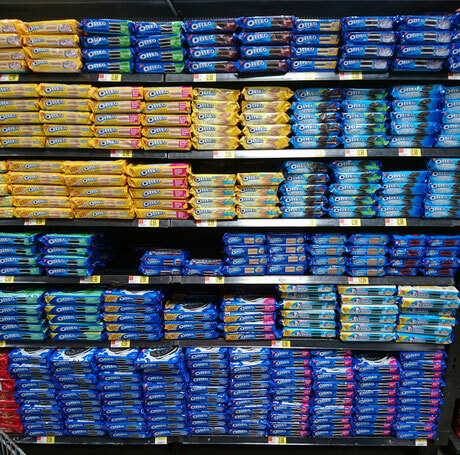 There is for example a huge shelve with varies kinds of the Oreo-biscuits. Until now, I luckily could avoid to buy something from there by avoiding this shelve with a big loop. It is really impressive to see, how the students identify with the university. 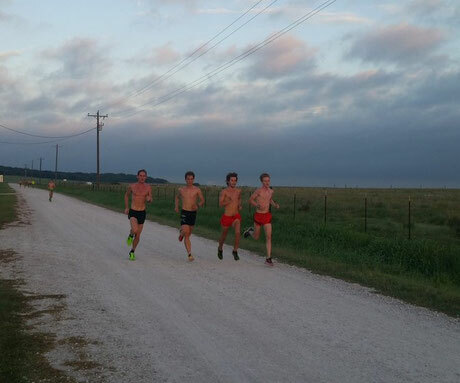 For example, it is normal to wear UNT-fan-kit during the day. 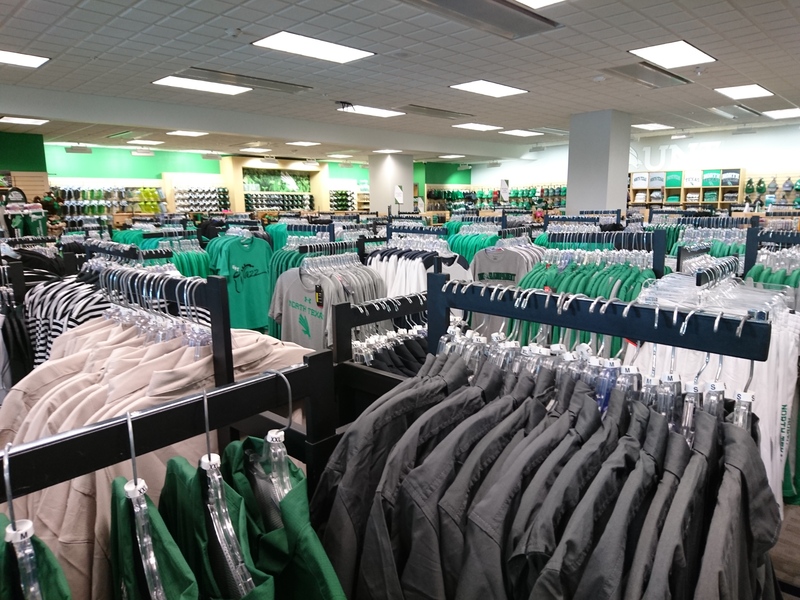 Because of that, you could buy in several shops im the whole citystuff with the UNT-emblem and there is a huge fanshop on campus where you can by just everything you can think of. Furthermore the university is anxious to keep up traditions and create a corporate identity, so the students get a even closer relation to the university and the sport teams. For example, we learned on our first day the UNT-Fight-Song and the UNT-Anthem, which will be used in different occations. Furthermore the bell on the administration building is playing the melody of the anthem at every full hour. In additon, when you drive on the highway in direction to the university you get welcomed in the 'country of mean green'. The most obvious difference is the language. With my 'school english' I had to realize that the pronunciation of a word can have a big impact of the meaning. This followed several strange situations but luckily the must people around me knew that my english isn't the best. I also recognized some problems by ordering in restaurants. Especially in the first month it took me everytime four to five tries until the waitress understood what I was talking about. Surprisingly, the understanding during the classes works pretty good. For sure, I don't understand every word but at least the recurrent theme is everytime predictable. Nevertheless it is really good to have in every class a tutor who can help me if there are some problems. I found out, there are many things which work a bit different than in Switzerland. It took me for example three ice-cold-showers to realize how I have to handle the faucet. Even the beds are different than at home. Here, the edge of the mattress is around one meter higher than the floor. But I could change the height because I couldn't get familiar with it. Really different is also the breakfast. My favorite meal included in Switzerland usually bread, honey and sometimes a muesli. In my dining hall I can choose between omelets, waffles, pancakes, french toast or muffins. Even though I miss the really good swiss bread, the variation im the US is so good that my favorite meal is still breakfast.